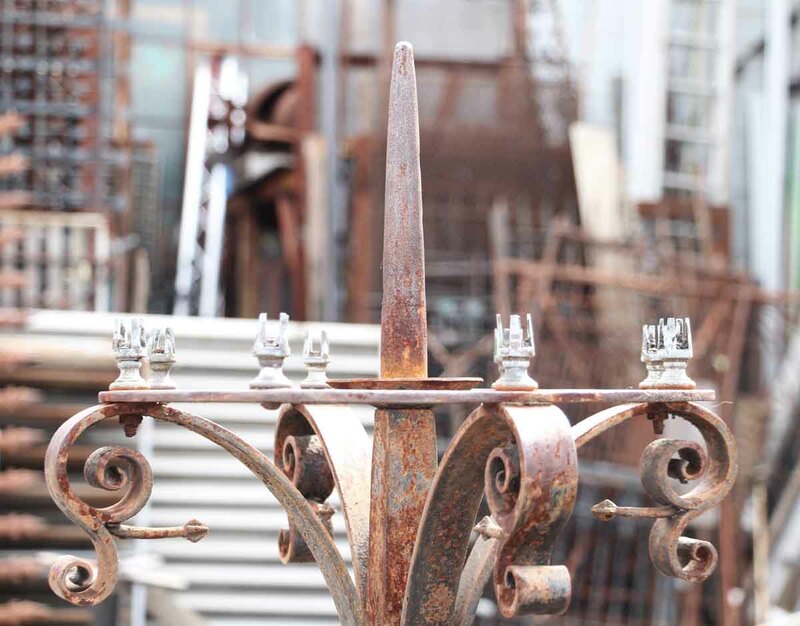 19th century wrought iron Ecclesiastical candelabra. 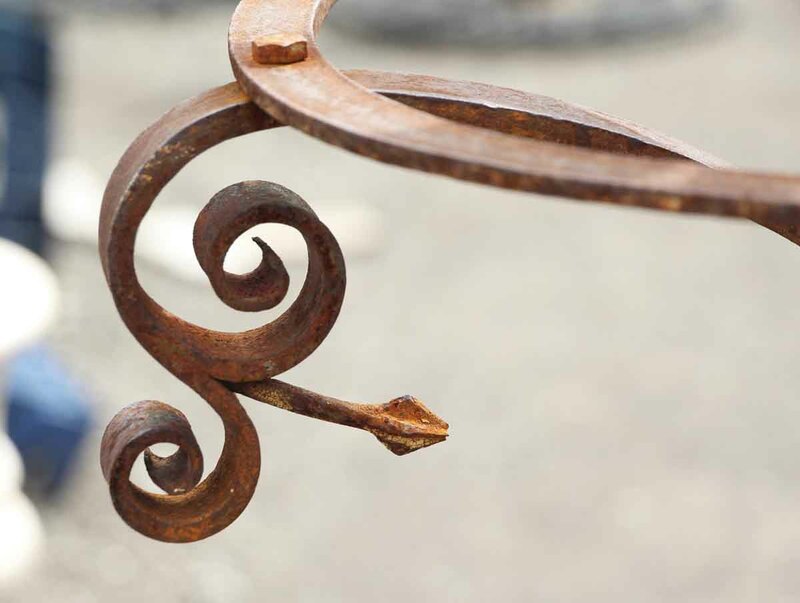 This is all hand wrought and turned with amazing details. 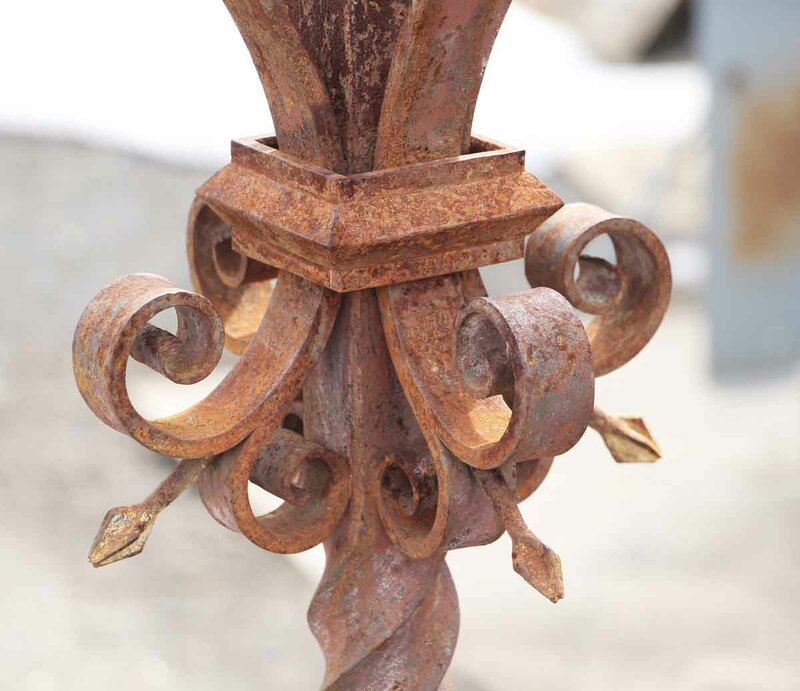 There is an overall rust patina, which can be sealed in with clear lacquer, or cleaned up and repainted. Please inquire. 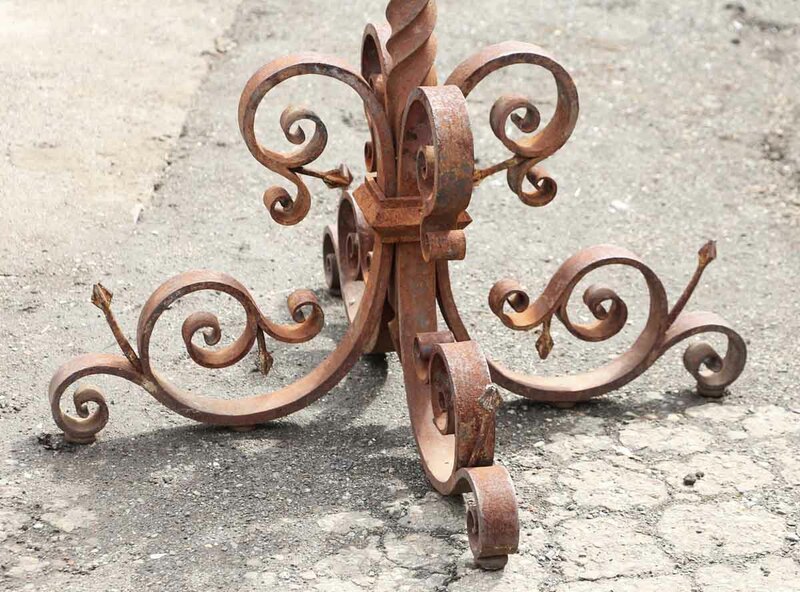 This would also make an interesting fountain sculpture.